The Echo Canyon Bed Sets have a coverlet that features a dramatic Native American inspired design in earth tones of browns, tan, beige and black and reverses to a light sand faux suede. 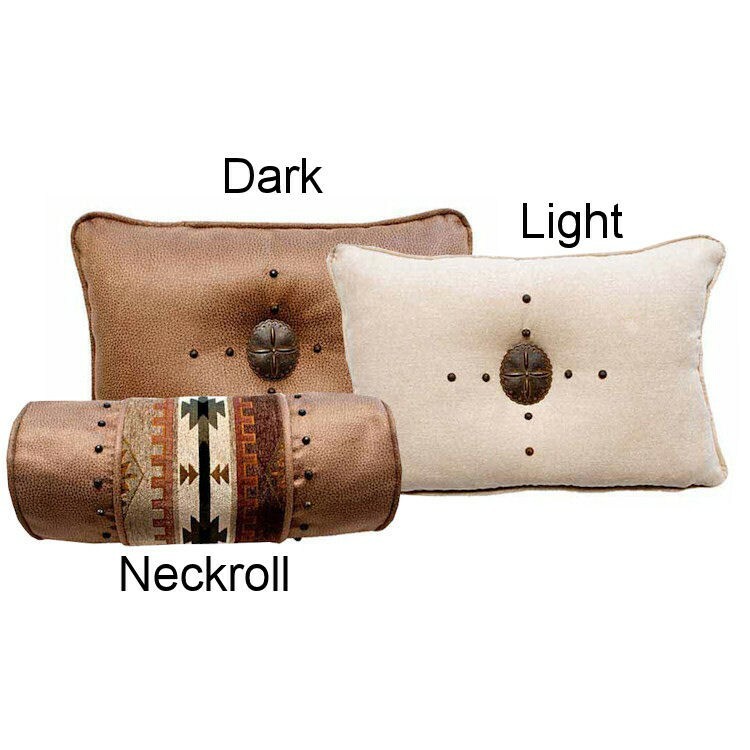 The pillow shams add western appeal in matching fabric. 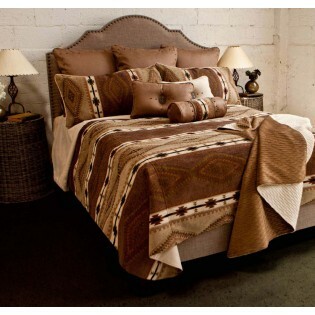 Deluxe sets also include euro shams to complete this western bedding ensemble.